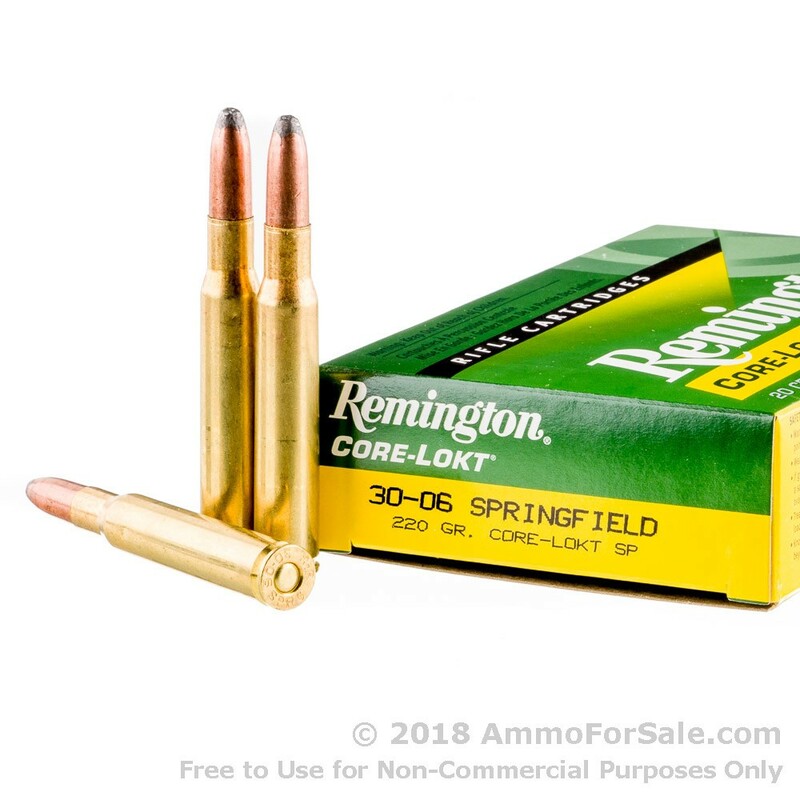 .30-06, aptly named with the “.30” for its caliber and “06” for its year of creation in 1906, is one of the most commonly used and well-liked sporting rounds. Part of its creation had to do with the need for a high-performance round capable of handling 1,000 yard shots. 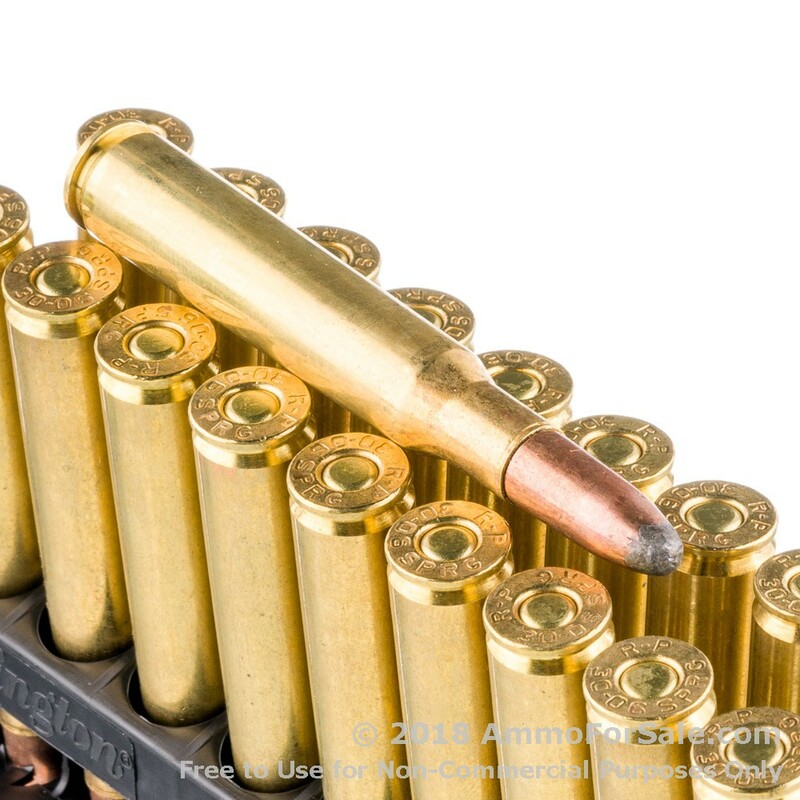 It was the US military’s primary caliber for 50 years, and today it is used by hunters for small game as well as larger game such as bear, bison, and deer at close-to-medium range. When it comes to hunting, those with experience know one of the common problems with rifle rounds is how the core separates from the jacket, which can hinder a clean kill, among other issues. But these are Remington Core-Lokt rounds; the lead core is “lokt” to the copper jacket, preventing separation upon impact. They’re also SP rounds so they provide greater energy transfer and mushroom for a larger and more destructive wound track, making a clean kill possible. 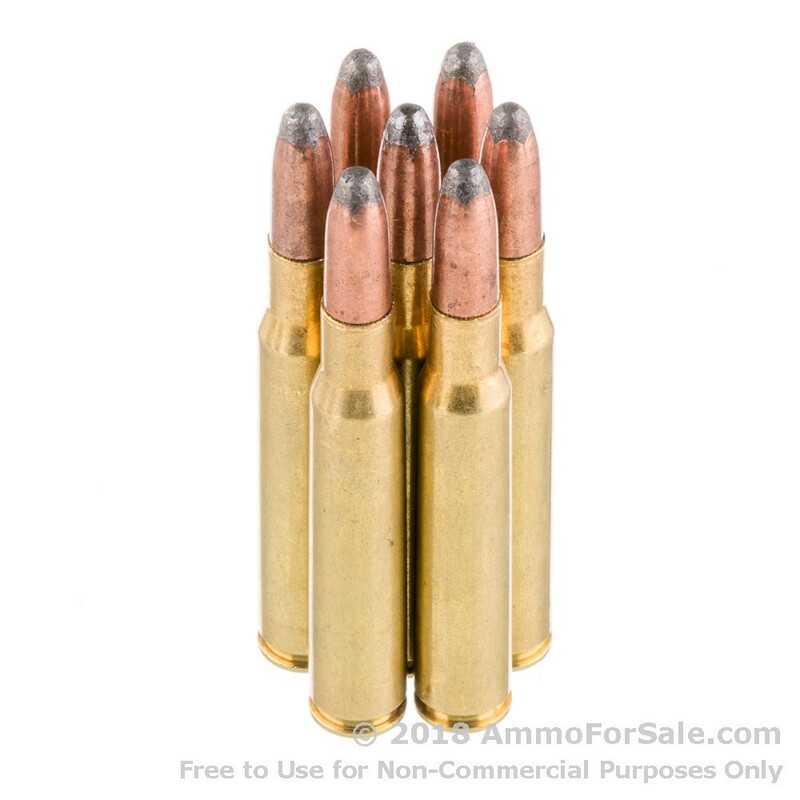 Weight is also important when hunting, and these are heavy 220 grain rounds. More weight means greater impact, and these rounds move with impressive speed, too; they have a muzzle velocity of 2,410 feet per second. They also hit with serious power; these rounds have a muzzle energy of 2,837 foot-pounds. There are 20 rounds in this box of American-made ammunition. If you’re going hunting, you need ammunition specifically designed for your needs as a hunter, and when you buy Remington Core-Lokt, that’s what you get.